Let me start off this hands-on review of the Nikon 1 V2 with a reminder that no one camera can do everything that an owner may require. 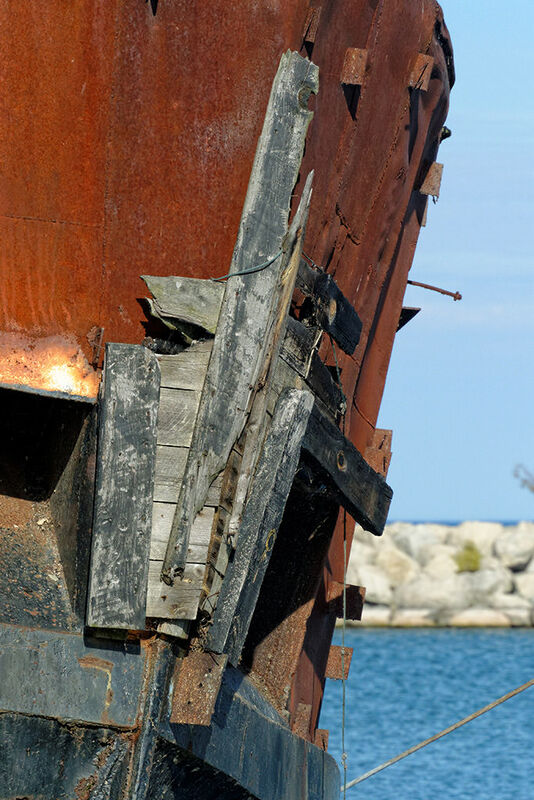 Regardless of the price paid, every piece of equipment comes with compromises. And, so it is with the Nikon 1 V2. I should also state upfront that I shoot more client videos with my Nikon gear than I do still photographs, so this review does contain a reasonable amount of evaluation from a video perspective. For those of you who would like to see a detailed comparison between the Nikon 1 V1 and V2, it can be found here. The Nikon 1 V2 has a small 1” CX sensor. This gives the camera some inherent challenges when using it in real-life situations such as more noise at higher ISOs, somewhat limited dynamic range, and difficulty in achieving shallow depth-of-field. Some people are quite negative about the V2 because of its sensor size and immediately dismiss it as a ‘toy’. This is very unfortunate because the Nikon 1 V2 does have some wonderful capabilities and I believe it should have a place in the bags of many professional photographers. My main camera is a D800 and until I bought my V2 a few months ago I also had a D7000 and some of the better performing DX lenses (16-85, 10-24, 35 f/1.8, 85 micro). I have now transitioned away from DX completely, sold all of that equipment, and purchased some additional Nikon 1 lenses. Quite simply I have found that a Nikon D800/V2 combination gives me significantly more flexibility for the kind of work I do than did the D800/D7000 pairing. The 2.7X crop factor of the CX sensor and the ability to use any of my F-mount Nikkor lenses on the Nikon 1 V2 (FT-1 adapter is required) has really extended my shooting range. For example, if you own a Nikkor 85mm f/1.8G, on the V2 you will have an equivalent field of view (efov) of 230mm…still at f/1.8. Or, a 70-200 f/4 zoom on the V2 will give you an efov of 189-540mm still at f/4. As a comparison, on a DX body the efov would be 128mm and 105-300mm respectively. The crop factor of the CX sensor can be extremely useful when shooting wildlife like smaller birds where it is often a challenge to get close enough for a good shot. More on that later in the review. Image noise can be a factor with the Nikon 1 V2 at anything over ISO 800, and even at that level some people may want to apply a bit of noise reduction. I try to keep my shooting with the V2 at ISO 800 and lower. You can still get usable images with the V2 at ISO 1600 and ISO 3200 depending on how you intend on using them. For any kind of a decent sized enlargement staying at ISO 800 or below is preferred. If you do shoot at high ISOs you will find that the in-camera ‘High ISO Noise Reduction’ setting softens jpeg images considerably and really obliterates a lot of detail, so you’ll be much better off shooting in RAW and being careful when applying your noise reduction to try and preserve as many details as possible. Under good lighting conditions when you can use lower ISO settings (160-400) the V2 does perform very well. The high pixel density of the 14.2 MP CX sensor means that diffraction can set in early. To get the sharpest still images from the V2 your aperture should be kept at a maximum of f/5.6. For landscape photography this is not a big issue at all since a CX sensor produces images with more in focus at any given f-stop when compared to an FX or DX sensor. Here is an example of the same scene, both shot at 50mm efov at f/5.6, the one on the left with the Nikon 1 V2 with a Nikon 1 18.5mm f/1.8, the other with a D800 using a 50mm f/1.8 G.
You can clearly see how much more is in focus at f/5.6 with the Nikon 1 V2 and its CX sensor compared to the D800 with its FX sensor. If you were willing to risk some diffraction, shooting at f/8 would render very deep depth-of-field with the Nikon 1 V2. Trying to achieve very shallow depth of field with the Nikon 1 V2 is a challenge. Here is a comparison of the same subject taken at f/1.8 using the V2 with the Nikon 1 18.5mm f/1.8 lens (50mm efov) and a D800 using a 50mm f/1.8G lens. As you can see from the images, a setting of f/1.8 with a V2 creates an image similar to f/5.6 on a full frame camera like the D800 in terms of depth-of-field. If you’re trying to achieve very shallow depth of field with particular images or video clips the Nikon 1 V2 is not the best choice. On the other hand, if you want more of the frame in focus at any given f-stop, then the Nikon 1 V2 really shines, especially when shooting video. The dynamic range is somewhat limited with the Nikon 1 V2, about 10.8 EVs for JPEG files and roughly 11.5 EVs in RAW (according to DxOMark). The range seems to hold up quite well from ISO 160 through to ISO 800 and I haven’t been able to see any noticeable difference. At ISO 1600 dynamic range does start to drop off a bit and the deterioration escalates as you go to ISO 6400. This is not unique to the Nikon 1 V2. It is a common issue with any digital camera. 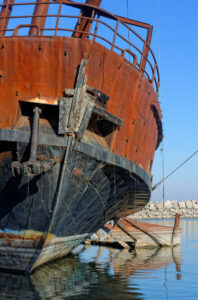 Even cameras like the D800 which have outstanding dynamic range suffer from drop-off as you crank up the ISO. With the D800 that drop starts to happen after ISO 400. Where you will really notice the dynamic range limitations with the Nikon 1 V2 is in bright sunlight when shooting high contrast scenes. Under these conditions it is very easy to clip highlights. If you’re shooting JPEG, it can be helpful to underexpose by at least 1 EV to try and hold the highlights. Shooting in RAW will always give you more latitude and it’s always easier to try and dig details out of the shadows because once highlights are blown they are gone for good. Underexposing in RAW is also recommended in high contrast scenes. 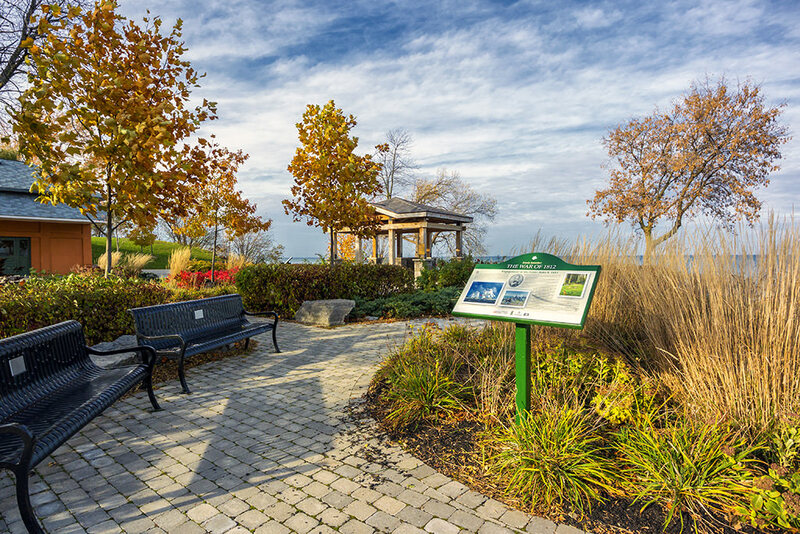 Another good way to try and work around the limited dynamic range of the Nikon 1 V2 when shooting landscapes is to shoot a spread of exposures and use HDR software to combine your images. The V2 does not have auto exposure bracketing so you will need to do it manually. This is easily done by using the wheel on the back of the camera body. Without changing your base exposure you can get a range from +3 to -3 which should be sufficient to capture all the detail you need out of almost any scene and produce a good HDR image. The following three images show the same scene. The first is an out-of-camera jpeg at default settings, the second is a RAW file with some very quick adjustments, and the third is a quick HDR image that I put together. I was focusing on the detail in the sky in the various shots in order to show differences in the amount of highlight detail available so please excuse the other colour variances between the images. What the images do show is that there is more highlight detail available with a RAW file vs. a jpeg (these were shot without any exposure compensation), and using HDR technique can reveal a lot more subtle shading differences and show a good range of highlights to shadow. The Nikon 1 V2 has a dual auto-focus system incorporating contrast-detect and phase-difference methods. The camera has control over which system is used based on light levels. Under good lighting conditions the phase-difference system is used and focusing is lightning fast and it does a very good job on moving subjects. 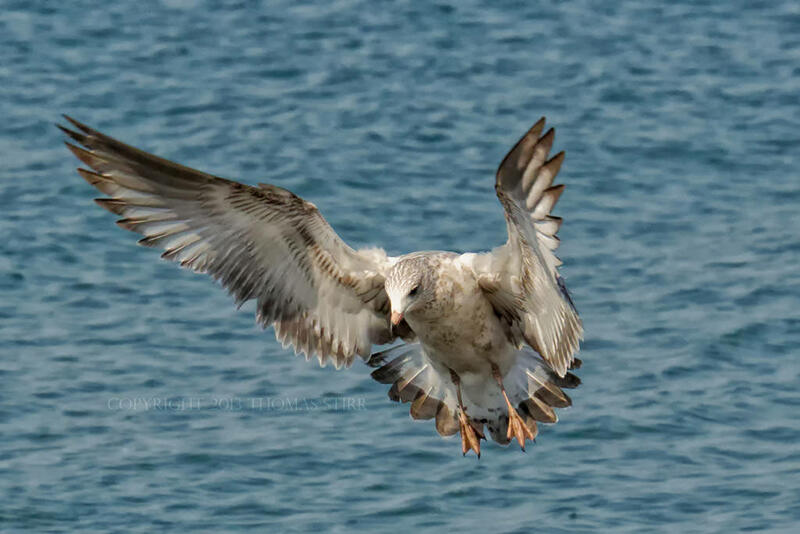 Capturing birds in flight with the Nikon 1 30-110 lens when the phase-difference system is operating is outstanding. Focusing using the FT-1 adapter with F-mount lenses is also very fast and accurate under good light conditions. With the FT-1 adapter you are limited to one focus point in the middle of the frame and it cannot be moved, so you may need to focus and re-compose some of your shots. I have used the TC-17E II teleconverter with my Nikkor 70-200 f/4 VR and mounted that on the Nikon I V2 with the FT-1 adapter. This combination has an efov of 918mm at f/6.7 and under good lighting conditions the focus is very quick and accurate. I have not been able to get reliable focusing for birds in flight with this set-up, but for perching birds it is a great combination, allowing me to get very good, usable images hand-held at 918mm efov at 1/200th of a second. In lower light conditions the camera will switch to contrast-detect and focusing slows down considerably, although it is still reasonably quick. If you use the FT-1 adapter with F-mount lenses in lower light conditions you may experience some focus hunting. The amount experienced does vary by lens and it can be frustrating at times. I found this to be the case with my Nikkor 105mm f/2.8 Micro and I often switch to manual focusing as a result. None of the Nikon 1 lenses have focus rings so to focus manually you need to go into the camera menu, set it for ‘Manual’, press ‘OK’ to have the image enlarge on the rear screen, then use the scroll wheel on the back of camera to focus. This is a bit cumbersome but it does work reasonably well. If you are having trouble getting what you want in focus it can be helpful to use single point focus and recompose the shot as necessary. For video you will likely use the manual focusing feature more often than you will with still images, as having the camera changing focus when shooting a video clip can make it look very amateurish. If you use the FT-1 adapter with your F-mount lenses the manual focus on them will work without any problem on the Nikon 1 V2. All you have to do is set the camera to manual focus, change the focus setting on your lens, then use the lens focus ring. The Nikon 1 V2 has both electronic and mechanical shutters. The mechanical shutter allows a respectable 5 fps. Where the V2 really shines is with its electronic shutter. Frame rates of 15 fps, 30 fps and 60 fps are possible. Continuous auto-focus works at 15 fps when using any of the Nikon 1 lenses. 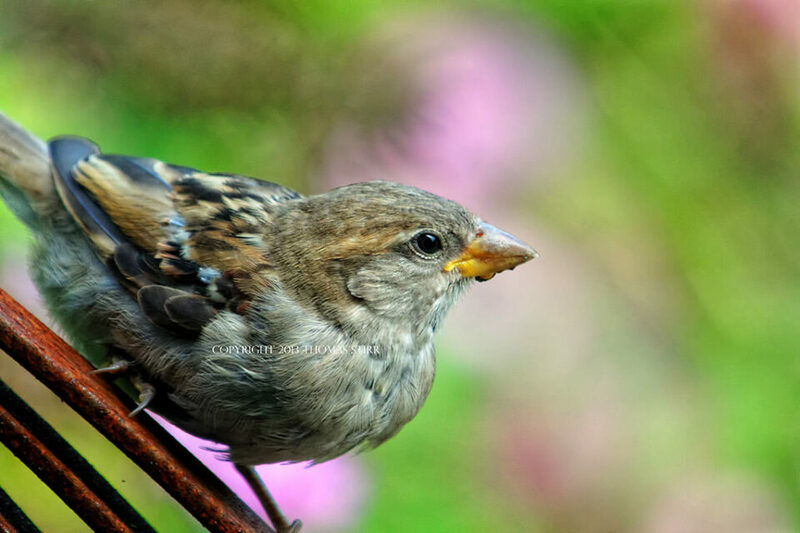 The Nikon 1 30-110 zoom is actually a very capable lens for its diminutive size and when mounted on the V2 this combination will enable you to capture some excellent shots of birds in flight at 15 fps in continuous auto-focus. Capturing 30 fps or 60 fps may seem like overkill but there are times when this does come in handy, even though continuous auto-focus does not work at these higher frame rates. 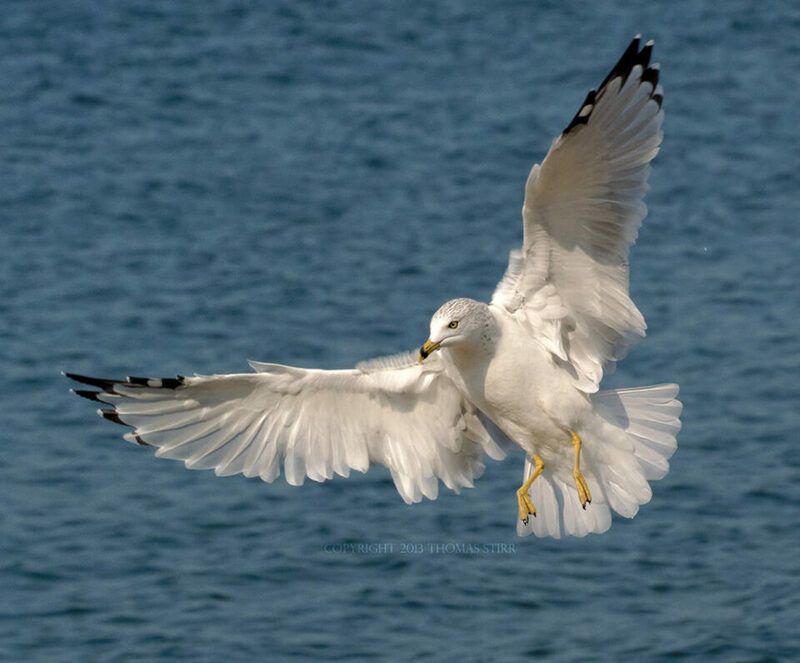 Capturing a bird just as it is landing at these high frame rates can yield some very precise…if not jaw-dropping shots. The electronic shutter will fire up to 1/16,000 of a second, while the mechanical shutter is limited to 1/4000. Unfortunately you are limited to single exposures when using the FT-1 adapter with your F-mount lenses so these fast frame rates are a non-starter with your F-mount lenses. The fast frame rates of the V2’s electronic shutter do allow for some great birding shots if you can get close enough with the Nikon 1 30-110 zoom as you can see from the photos below. One of the primary reasons that I bought the Nikon 1 V2 was to use it with the FT-1 adapter to extend the reach of my current Nikkor F-mount lenses, specifically for nature and bird photography. Having now shot thousands of images I can tell you that I absolutely love this capability of the V2. I am waiting, like many of you, for Nikon to release an update of their 300mm f/4 telephoto. In the meantime I have been using my TC-17E II teleconverter with my Nikkor 70-200 f/4 VR and I’ve been more than happy with the results. The efov with this combination is 918mm (f/6.7) and the VR on the 70-200 f/4 lens is excellent. I’ve had no problem getting very good shots hand-held at 1/200th of a second. When Nikon does launch an updated 300mm f/4, mounting that lens on the V2 will give me an efov of 810 at f/4, or with my TC-17E II, an efov of 1377mm at f/6.7! Talk about a super light, fast focusing set-up for birding! Just imagine the kinds of shots you could get by being able to put 14.2 MP on your subject hand-held at 1377mm. Below are a few shots taken at an efov of 918mm hand-held. There are always trade-offs as I mentioned at the start of this review, and trying to use the FT-1 with an F-mount telephoto lens on the Nikon 1 V2 to capture birds in flight is very challenging. Being limited to one focus point in the middle of the frame and trying to hold that directly on a bird long enough for the lens to focus is extremely difficult. If you position yourself at 90-degrees to the flight path it does help. Obviously it is easier to capture birds-in-flight without the TC-17E II, and I have gotten some decent shots with the 70-200 f/4 mounted on the V2 (efov 189-540mm) but it still can be somewhat frustrating. I find that I would rather use the TC-17 II/70-200 f/4 combo on my D800 and crop the resulting images. My D800 nails focus pretty much every time and the files are large enough that I have plenty of cropping potential. 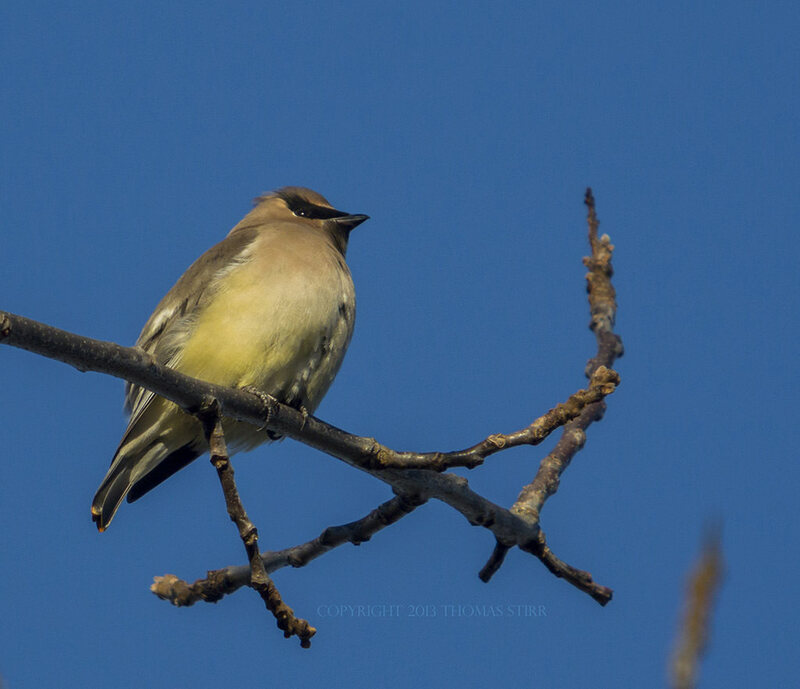 For perched birds I do prefer using the Nikon 1 V2 with the F-mount lens combination over my D800. 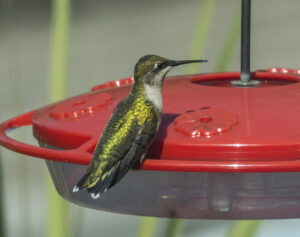 I did some tests shooting hummingbirds hand-held from the same vantage point, using the D800 and Nikon 1 V2. The exact same set-up was used with both cameras (TC-17E II and 70-200 f/4 VR). I found that the V2 at an efov of 918 with a 14.2mp sensor can produce images that rival those from my D800 at 340mm with its 36.2mp sensor. Proof again that there is a benefit to putting more megapixels on a subject. One thing to keep in mind when you are using the FT-1 adapter and F-mount lenses is that the Nikon 1 V2 will keep the autofocus and VR active as long as the camera is turned on, regardless of whether you have half-depressed the shutter or not. I’m not sure how much wear and tear this may cause on a lens, but just to be safe I either turn off the V2 while waiting for shot opportunities, or I turn off the VR and autofocus on the lens between shots. Anyone who owns a Nikon DSLR will feel very comfortable shooting with the Nikon 1 V2. Thankfully the update from the V1 added many external controls including a PASM mode dial. Video shooters will love the fact that you can adjust both shutter speed and aperture on the fly with external controls. All Nikon DSLRs from the D610 on down do NOT allow this degree of manual control in video. You have to go in and out of LiveView in order to change your aperture. This may seem like a small issue, but when you are on-location shooting video for a client it can save a lot of time. Some adjustments, like ISO, are a bit limited compared to a Nikon DSLR; as you can only adjust in full stop increments (160-6400), and Active D-Lighting is either ‘on’ or ‘off’. The camera does have a range of scene modes, auto focus and metering settings, and other common adjustments. The upper wheel allows you to adjust shutter speed and the dial on the back changes aperture. Once you shoot with the Nikon 1 V2 for an hour or so you’ll find it quite easy to handle. Exposure compensation can be done from the back button/dial with a range of +3 to -3 EV, which is quite acceptable for HDR shots. The handgrip is very comfortable and overall the size of the V2 makes it very portable and convenient to use. Overall the menu is easy enough to use, although it does take a bit of scrolling time depending on what you are trying to adjust. Professional DSLR shooters who are used to a host of external body controls will find that they will need to go into the menu a lot more than they are used to doing, but at least the V2 has more external controls than other Nikon 1 models. Once you get used to the limited adjustments compared to your professional-level DSLR you’ll just relax and enjoy shooting with the Nikon 1 V2. Nikon has expanded the selection of Nikon 1 lenses quite a bit from when the format was originally launched. And, Nikon is creating higher quality lenses for the system. For example, the recently launched 32mm f/1.2 Nikon 1 lens (efov 86mm) has Nano Crystal Coating and is priced at about $900. I own four Nikon 1 lenses and I find the combination of 6.7-13 (efov 18-35mm), 10-30 (efov 27-81mm), 30-110 (efov 81-297mm) and 18.5 f/1.8 (efov 50mm) gives me quite a bit of flexibility. Image quality with Nikon 1 lenses is actually quite good in terms of centre sharpness, very respectable corner quality, colour rendition etc. Obviously these particular lenses don’t match the performance of Nikkor professional-grade FX glass, but I think they are a solid step above entry-level, consumer-grade Nikkor DX lenses. Since the final images you capture are a product of the combination of the body and the lenses you use, I believe that most ‘family’ or ‘weekend’ shooters will get better overall image quality with the Nikon 1 V2 using the 6.7-13, 30-110 and 18.5 f/1.8 lenses than they would with a Nikon DX format DSLR and a selection of low priced DX lenses. Nikon 1 lenses are quite good for video work. The zoom lenses, including the 6.7-13mm, all have VR which also adds some flexibility shooting stills at slower shutter speeds in low light conditions. With the FT-1 adapter you can use any of your F-mount glass, but remember that the 2.7x crop factor will greatly increase the efov of your lenses. Based on how good the Nikon 1 V2 is for shooting wildlife and birds I would be in heaven if Nikon introduced a Nikon 1 300mm or longer telephoto. I would buy it in a heartbeat. I mentioned earlier that I now shoot with a D800/V2 combination and have sold off my D7000 and remaining DX lenses. The following chart shows the equivalent field-of-view of the FX lenses that I use and how the CX sensor in the Nikon 1 V2 helps to increase overall in-the-field shooting flexibility in terms of additional efov. And, where there are direct overlaps on efov between my FX and Nikon 1 lenses, the large differences in depth-of-field characteristics between FX and CX sensors also adds more creative options. The FX sensor size of the D800 and its DX crop capability makes owning a DX body redundant for the kind of shooting I do. While not at the highest, professional quality standards, the Nikon 1 V2 with system lenses can produce very good quality images, especially if the aperture is kept at f/5.6 or under. I have found that some of the Nikon 1 lenses such as the 18.5mm f/1.8, 30-110mm and 6.7-13mm are particularly good, producing consistently sharp images with nice contrast, and quite a bit of detail in the corners. The CX sensor is able to achieve reasonably deep depth of field at f/5.6 which is ideal for landscape photography. RAW files respond well to post processing and I’ve found that many Nikon 1 V2 files really seem to like DxOMark OpticsPro8. Unlike most of the other models in the Nikon 1 line-up the V2 features a viewfinder. Anyone that is used to a DSLR will really appreciate this feature. The default viewing on the V2 is the screen on the back of the camera. 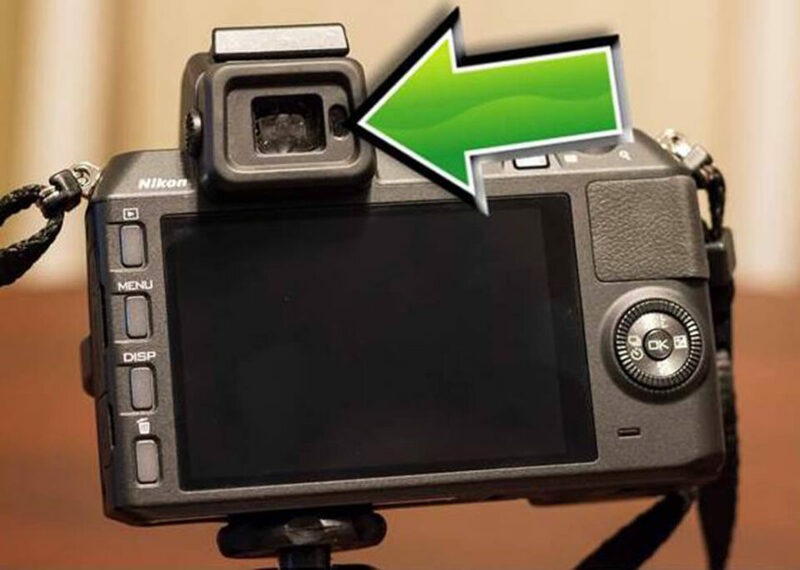 There is a sensor on the right side of the viewfinder that senses your face coming close to it and will automatically shift the view from the back panel of the camera to the viewfinder. There is a bit of a lag of a ½ second or so, and if you’re not careful you can miss a shot because of this lag. When I’m out shooting birds I purposely put my thumb over this sensor so that the image is always in the viewfinder. Then as I bring the camera up to my eye to shoot I pull my thumb away when the camera is close enough to my face for the sensor to detect it. This allows me to shoot without any kind of lag. While many people bemoan the fact that the Nikon 1 V2 has a small 1” CX sensor it has allowed Nikon to engineer quite compact system lenses for the camera. I have a cotton jacket with a couple of large cargo pockets that I often wear when I’m out shooting and I can easily carry my complete system of a V2 body, 4 lenses and a ME-1 microphone is just one of those pockets. Try doing that with a DSLR or even a 4/3 format camera with the same selection of lenses! Nikon has developed a dedicated flash and a small video light for the Nikon 1 system. In my mind it would have been better if they could have just made adapters so owners could use existing Nikon accessories like they can with the ME-1 microphone. That particular adapter (AS-N1000) is quite high priced for what it is and sells for about $30. While the Nikon 1 V2 CX sensor may not match the overall performance of a micro 4/3 or DX sensor, the V2’s portability and speed does make it a good alternative to these other formats. And, if you have been using cheaper cropped sensor lenses on a DX body the Nikon 1 V2 with some of its better quality system lenses may surprise you in terms of the overall image quality they produce. The photo below shows my Nikon 1 V2 with the Nikon 1 30-110mm lens (efov 81-297mm) mounted on a very small table top tripod. When shooting video the diminutive size of the V2 has allowed me to put it in very tight or awkward spaces, capturing very unique angles and perspectives that would not have been possible with a DSLR or micro 4/3 format camera. The Nikon 1 V2’s small size also means that it is well suited to be used with camera stabilizers like the CMR Blackbird, the Fat Gecko dual suction cup mount, skater dollies like the Konova KSD-2000, or small-sized camera sliders like the Cinevate FLT Atlas 10 (I use all of this equipment in my business). This flexibility can add a lot of creativity to video productions. 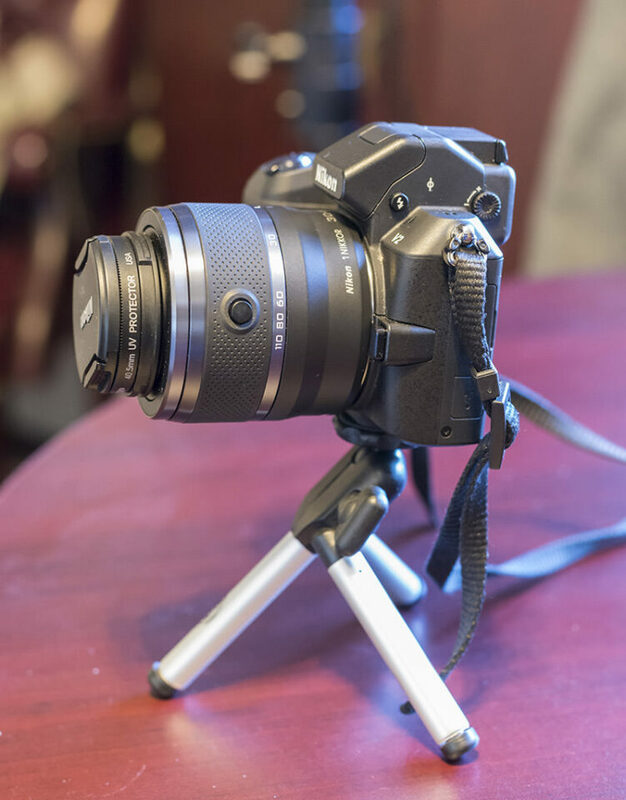 Its small size also means that when travelling you can use a small size combination tripod head like the Manfrotto 391RC2 with the Nikon 1 V2 to shoot video with some basic pan and tilt moves. My main camera for video is a D800 and I use the V2 as a second camera on client video shoots. I bring some of my studio lights with me when shooting video indoors to help ensure I can shoot at fairly low ISOs. As a result, the vast majority of my client video segments are shot at ISO800. This makes the potential problem of noise from the Nikon 1 V2’s small sensor pretty much a non-issue for me. If you do not have adequate lighting you may want to consider how much noise will be acceptable in your video footage and how much time you want to spend in post correcting it. Generally speaking Nikon cameras are noisier when shooting video than Canon at higher ISOs, so if you are already shooting video with Canon you likely will not have much interest in switching to Nikon. Before buying a Nikon 1 V2 for video you do need to understand some of its limitations to make sure that it will meet your specific needs. The video capability of the V2 was one of the primary reasons that I bought the camera, and I have found it to be very competent shooting video in 1080HD at 30p and 720HD at 30p or 60p. For typical industrial productions that I do like product reviews, safety videos, and YouTube promotional videos the Nikon 1 V2 produces very acceptable results and the limited number of frame rate options is not an issue as most clients prefer 1080HD at 30p. There is also a capability to shoot video at either 400 fps or 1200 fps. Resolution changes to a panorama at those speeds and the 1200 fps (320×120) setting is more of a marketing gimmick than a practical application. The 400 fps setting, even given its small resolution (640×240), can actually be helpful in specific situations where, for example, you may want to capture slow motion footage of industrial machinery in action; then superimpose the small-sized clip onto an explanatory graphic in your video assembly. The Nikon 1 V2 also shoots video in 60i (interlaced). It is important to remember that 60i still produces 30 finished frames per second, but captures them differently than the 30p (progressive) setting. At 60i the camera captures ‘half scenes’ then laces them together to create a single finished scene. This can help fast action scenes like sports look a bit smoother than if shot in the 30p setting. If you are trying to achieve a ‘film look’ with your video the Nikon 1 V2 is definitely not the right camera to choose as the depth-of-field characteristics of the CX sensor are not nearly shallow enough to get the sharp image separation and ultra-soft backgrounds used in film production. Also, the V2 does not provide the 1080HD 24p setting that is preferred for this style of production. A full frame camera like the D800 is needed to achieve the ‘film look’. The quality of the Nikon 1 V2 video files is very good up to ISO 400 and there isn’t much difference in noise levels between the V2 and D800 at low ISOs. At ISO 800 there is a bit more noise in the V2 files and it increases as ISOs rise. At higher ISOs I’d estimate there is at least a full stop difference, perhaps a tad more. Given the difference is sensor size between the two cameras this is to be expected. As mentioned earlier, having full manual control, including changing aperture, when shooting in video mode is a huge advantage when compared to most Nikon DSLRs that force you to go in and out of LiveView to change aperture. There are sufficient picture controls with the Nikon 1 V2 to allow you to match the settings you are likely to use when shooting video with the D800. Most video shooters will want to capture as flat an image as possible and then colour grade it in post. This means shooting in Neutral with the contrast turned all the way down. In scenes where you may run the risk of moire you may also want to reduce the sharpening down to the lowest level. To get smooth looking video you will want to match your shutter speed to the frame rate you are capturing, using a 1/60 shutter speed for 1080HD or 720HD video at 30p, and 1/125 shutter speed for 720HD at 60p. Whenever possible shoot video at ISO800 or lower to keep noise to a minimum. You can go to ISO 1600, and maybe push it to ISO 3200 the odd time with the Nikon 1 V2, but you should expect to have to clean up a fair amount of noise in post at these settings. I have found that the depth-of-field characteristics of the CX sensor in the Nikon 1 V2 can be extremely useful when shooting video, especially in situations where you may be limited to an aperture of f/5.6 or less, and where you need more depth-of-field than is possible with the FX sensor in the D800 at that f-stop. While it may be convenient to use one of the ISO range settings (e.g. 160-800) when shooting still photos with the Nikon 1 V2, you’ll want to avoid this when shooting video as the camera can shift ISO settings if lighting changes slightly while recording a scene. This can cause a noticeable shift in exposure in your video clip and make it look amateurish. For the best, consistent results with the V2 I’d recommend always shooting video in full manual mode and using a specific ISO setting. Manual focusing with Nikon 1 lenses is a bit cumbersome since they do not have focus rings, but it can be done and is preferred for video shooting as you would seldom want the lens to re-focus during the recording of a scene. Of special note to video shooters…it is impossible to pull focus or to do rack focusing while recording with the Nikon 1 V2 as the same rear wheel is used for aperture adjustment and manually focusing Nikon 1 lenses. As soon as you hit record, the function of the rear wheel immediately defaults to aperture adjustment. As noted earlier, manual focusing with F-Mount lenses is no problem at all. At this point I am not aware of any follow focus unit that will work with the Nikon 1 V2 even for zoom adjustments only. Given that Nikon 1 lenses do not have external focusing rings video shooters will have to use their main camera to pull focus or do rack focus clips anyway so it wouldn’t make any sense to invest in a follow focus unit (I use my D800 with an iDC System Zero follow focus). I do not own the Nikon 1 10-100 zoom lens but from what I have read it has a power zoom control specifically designed for video. The power zoom will have some definite advantages in terms of zooming in and out of scenes and that capability will enhance your video productions to some degree, but it would not address the issue of pulling focus or doing rack focus which for most video shooters are very important creative techniques. The 10-100 is a relatively large, heavy and expensive lens compared to the other Nikon 1 lenses and most people shooting still photography would get better image quality and value by buying a combination of the 10-30mm and 30-110mm zooms instead. Since the Nikon 1 V2 is such a small, compact camera you need to be aware that it can overheat when shooting video if you try and run a continuous clip of 20 minutes or more, or if you use it capturing clips in rapid succession for more than 20 minutes. Under these conditions it will give you an overheating visual warning on the screen and shut-down, and will not be operable until it cools sufficiently. This means that the Nikon 1 V2 is not a good choice to do interview-on-camera scenes where long uninterrupted scenes or numerous back-to-back takes are the norm. I always turn the V2 off between capturing video scenes to help keep it from overheating. Audio input controls are in the menu and only three audio settings are available. The integrated microphone on the Nikon 1 V2 is not good enough for any kind of commercial production. To produce decent quality you will definitely want to use an external microphone. I use both the Nikon ME-1 and the Rode VideoMic Pro with my Nikon 1 V2. Both do an acceptable job, with the Rode VideoMic Pro being the superior of the two. I can also use my Sennheiser Freeport wireless microphone for even better sound. There is no headphone jack on the Nikon 1 V2. I tried using my Sescom patch cable to get my headphones to work with the V2. While this cable worked with my D7000 and allowed me to monitor video sound levels with headphones while recording, I could not get it to work on the V2. I don’t know why…perhaps the EN-EL21 battery just doesn’t have enough power. 19) Who Should Buy the Nikon 1 V2? The Nikon 1 V2 is ideally suited for any photographer who puts a premium on small size, fast performance, and good image quality. Anyone who enjoys shooting wildlife with their Nikon DSLR, even professional shooters, should absolutely buy a Nikon 1 V2. Having one in your camera bag with the FT-1 adapter is like carrying around a powerful little 2.7x teleconverter. It is an amazing tool to extend the reach of your current Nikkor glass. People who plan to use their cameras to shoot a lot of video as well as stills and want the convenience of external, live manual control of both shutter speed and aperture. Professional video shooters using a D800 should take a serious look. The Nikon 1 V2 is a great compliment to the D800 and they will find that the differences in depth of field characteristics between FX and CX sensors opens up additional creative options when shooting video. Copyright 2013 Thomas Stirr. All rights reserved. Used by Photography Life with permission. Thanks for the excellent and comprehensive review. I currently own a D300 plus lenses system and am considering a smaller alternative for traveling so this is very helpful. Also an enthusiastic Fuji X10 owner! BTW presumably the HDR shots were via tripod due to the manual method? Thanks for your comments on my Nikon 1 V2 review…I’m very pleased that you found it helpful. Yes, you are correct…I did use a tripod to do the HDR shots. Can I use Nikon 1 V2 with lens 10-30mm in real estate office? I need to use it outside and inside the building especially capturing wide angle to see size of the room. You are likely to find that the 10-30mm does not provide a wide enough angle for interior photos at it provides an efov of 27mm on the wide end. 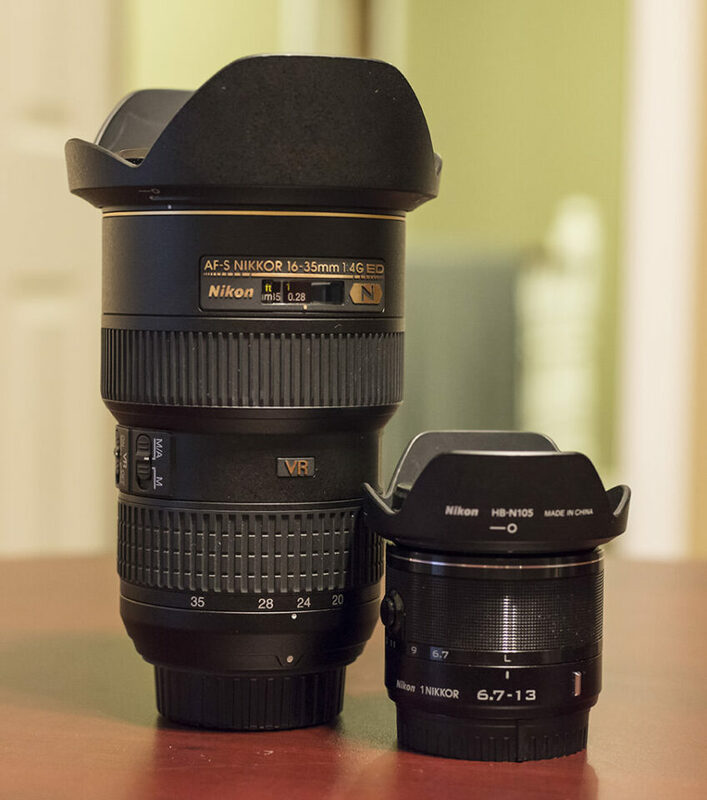 The 1 Nikon 6.7-13mm is probably a better choice as it has an efov of 18-35mm. You may also want to use some perspective control software like DxOMark ViewPoint 2 to adjust your images in post to correct wide angle distortions. One of the best reviews I have ever read/seen, if not the best, on any photo site I know of. Beautiful images and video. Thanks a lot. Thank you so much for your words of support….very much appreciated. I’m very pleased that you enjoyed reading/seeing the review. Where do you get the ‘ 1″ ‘ (one inch) in respect to the CX sensor. From what I can discern from published data, the CX is size 13.2mm x 8.8mm (DX size ~23.6mm x 15.7mm and FX size ~36mm x 24mm). Therefore, it is the smallest sensor of the three (CX, DX and FX). Please help me understand what 1″ has to do with an object .52″ x .35″. Even adding the two dimensions gives you .87″ and not one inch. Is it the size of the substrate that the sensor sits on? Do camera manufacturers have lobbyists who insist that you use these terms? Please explain why it is called a one inch format. It obviously confuses consumers into thinking they are getting a larger sensor than is actually in the camera. It can be agreed the naming of sensor sizes is both dated and confusing. I’m not sure why the CX sensor is generally referred to as a 1″ sensor on various camera and review sites. I was simply using the same terminology that has been commonly used to describe this format. There was no intention to mislead anyone….I was simply using terminology that is already in place. To your point….yes the CX sensor is by far the smallest of the FX, DX, micro 4/3 and CX types and I certainly pointed out in the review. Many people discount the Nikon 1 V2 purely on its sensor size and they do not consider the performance that the camera can actually produce. Like most people I looked at camera specs in detail before I bought my Nikon 1 V2. For what I wanted to do with the V2 I viewed the size of the CX sensor as a big PLUS for the camera, and I still do. In fact, if the Nikon 1 V2 did not have a CX sensor….I would not have bought it. For me it was a key selling feature of the camera. The 2.7x crop factor gives the Nikon 1 V2 very unique capabilities and it is ideal for the specific applications for which I purchased it….the sensor size allows me to extend the reach of my existing Nikkor glass to photograph nature (specifically birds). It is simply incredible to get this increased efov without any loss of light, and also retain metering and some auto focus capability with the FT-1 adapter. The other three main reasons I bought it were to be able to shoot 1080HD 30p video with full external control of shutter speed and aperture…..to capitalize on its amazing frame rates when using the electronic shutter….and to take advantage of the unique depth of field characteristics of its CX sensor. I was more than willing to trade off some of the shortcomings of the CX sensor in terms of limited dynamic range and more noise at high ISO to get these specific benefits for the kind of shooting that I do. Other photographers may not see the same value and benefits of the Nikon 1 V2 that I do. It really comes down to getting the best tools possible for the shooting you do. As I mentioned at the start of the review….every camera, regardless of price, has some kind of compromise. Thank you for this information. I am beginning to understand more. And while reading your reply I realized that, since the sensor is smaller, and glass gets it best resolution near the center, more of the sensor is therefore covered by better resolution (? is this a proper assumption? I am also learning more about the DOF aspects of the CX). I have two Nikons, the D3100 (DX cmos) and the L810 (CX, ccd), and although the L810 is a point and shoot, it’s image seems slightly better for what I shoot, although it has no raw capability. You’re right on with your observation. When an FX lens is mounted to a DX or CX body the smaller sensor sizes of those formats take can advantage of the centre of an FX lens where it is at its sharpest, and where it typically would have the least amount of distortion. The smaller the sensor, the more depth of field it will have at any given f-stop compared to larger sensors. The downside of course is that smaller sensors will typically have much higher pixel density which cause more noise, and more image softening from diffraction at higher f-stops. “without any loss of light” …well, you lose total light in terms of the reduced sensor size resulting in higher SNR. And “FX shooters who want the unique depth-of-field characteristics of the CX sensor” could just stop down (close the aperture) and increase the ISO to keep shutter speed the same. Thank you for this. I have the 70 -200 F2.8 plus two different TC units: the 1.4 and the 2. I wonder how the v1 mk2 would work with the 2.8 plus a 1.4? You have answered a key question for me. I have looked at the 1 system and been vaguely interested in adding a another body. I think you are wise to add a body which offers an opportunity to add flexibility. It makes sense. I have used some longish lenses on my D800 but cannot afford to buy a 600 or even a 400. The best I can do currently is the F4 300. I am also waiting for the update to that one. Wonderful post, interesting videos and nice still images. I’m very glad you liked the review….thanks for your comments. Based on my experience with the 70-200 f/4 VR and the TC-17E II teleconverter I would imagine that your 70-200 f/2.8 would work with either one of your teleconverters. I would have no hesitation trying it out with the TC-20. The best thing would be to take your zoom and converters into your local Nikon dealer and do a test. I took my Nikon 1 V2 with my FT-1 into my Nikon dealer and tried it out with the new Nikkor 80-400 VR and it worked very well indeed. It gave me an efov of 1080mm and I got what I thought was an amazing quality shot given the conditions….f/5.6, ISO1600, at 1/80 of a second, handheld. I’m not sure if Nasim can add that shot to the review. If he can’t, please feel free to send me an email and I’ll send you a copy of the jpeg directly. My web site information is at the end of the review. Thanks for sharing your images of the Cooper’s Hawk. It looks like some wind was catching his plumage and making him look a bit larger than life….nice moment! When using the FT-1 adapter and your DX or FX lenses with the Nikon 1 V2 you are limited to single frames only. I believe this same limitation exists with the V1. The faster frame rates of the mechanical and electronic shutters are only available when you use the V2 with native Nikon 1 lenses. The V2 auto selects the electronic shutter when you set the camera for 15fps or higher. The 5fps on the V2 defaults to mechanical shutter. I’m not sure if you can select shutter type with the V1….on the V2 the camera decides based on frame rate. One of the reasons that I bought the 30-110 Nikon 1 zoom was to take advantage of the incredible fps when shooting stills with the Nikon 1 V2. If you want continuous auto focus with the 30-110 Nikon 1 zoom on a V2 you should choose the 15fps setting. When shooting birds in flight with the 30-110 @ 15fps I typically set the V2 to AF-C continuous, and use either Single-point or subject tracking auto focus. 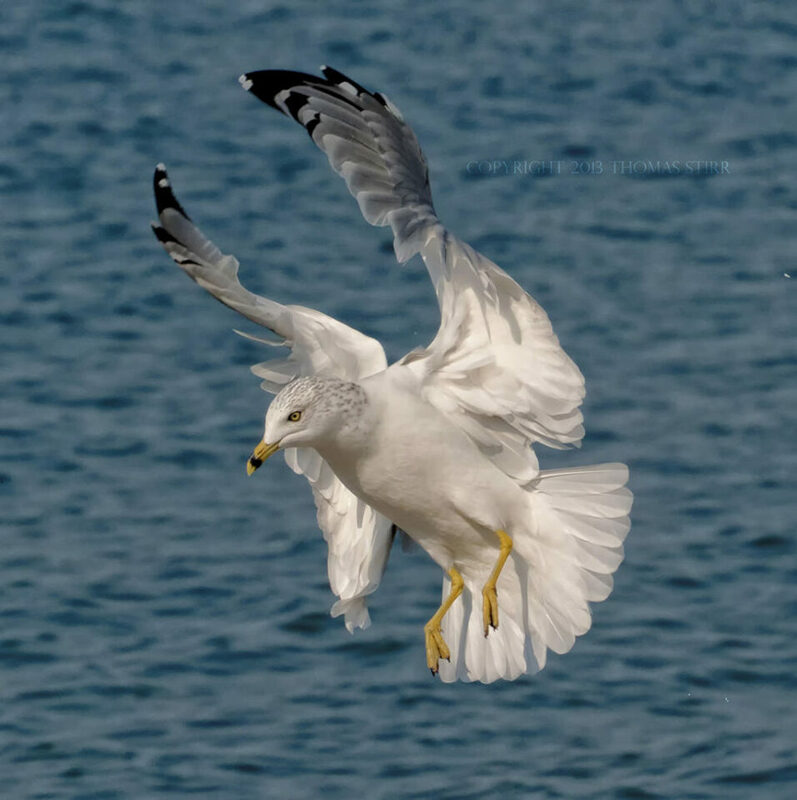 If you are shooting a bird against a clear sky background the auto-area auto focus setting will also work well. For birds in flight I typically use centre-weighted or spot metering. If the bird is perched with even lighting then matrix works well. If the bird is perched and in mixed lighting then I switch to spot metering or centre weighted to ensure that I catch the best metering on the bird. 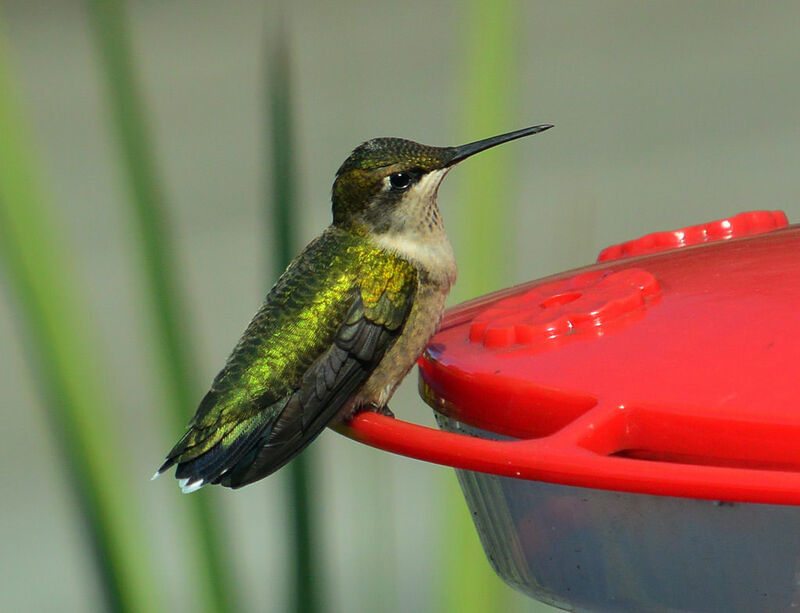 The 30fps and 60fps do not have continuous auto focus so they are best used when you are focusing on a specific area, like a nest or the edge of a dock, and waiting for a bird to land. Another small tip….I’ve found that the Nikon 1 V2 RAW files on bird subjects seem to respond very well to DxOMark OpticsPro 8 software and some of its auto presets. 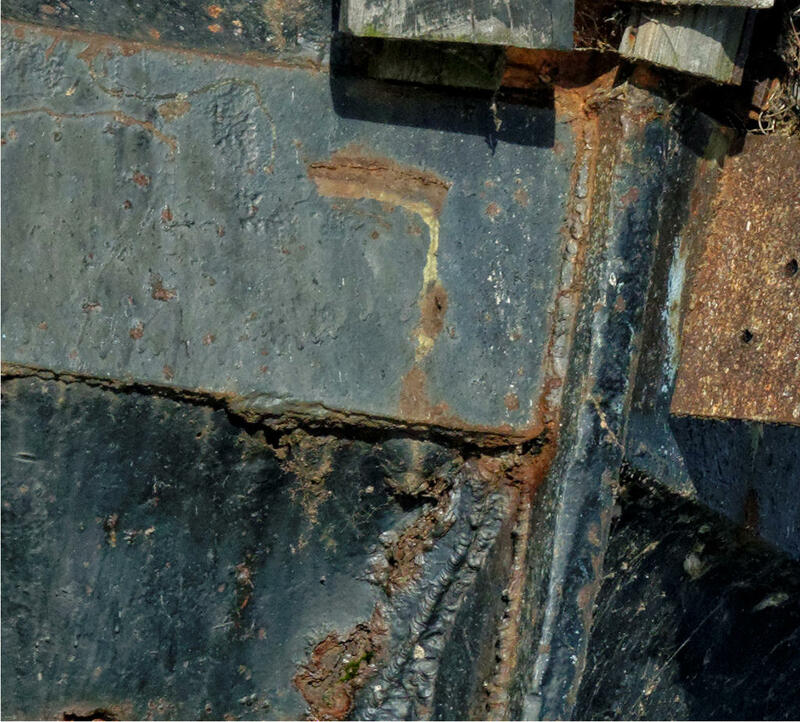 For some reason the images seem to sharpen up a bit better than in CS6. I’m not 100% sure, but I believe that some of the newer Nikkor lens profiles in Photoshop are not available unless you move to the ‘cloud version’ which I have no interest in doing. If anyone has clarification on this point I’d love more information on that. Thank you for your excellent and revealing review! Well done . . . I have been trying to nudge Nasim into exactly this review for some time. Like you I have sold my DX Camera (I was up to a d7100) and many of my DX/FX lenses but kept the amazing 70-200F/4 and the two TC’s (although I rarely stretch to the x1.7). I now have all of the Nikon 1 lenses including the 32 mm and I travel light and always prepared! It is a shame that you were not able to include the 32 mm lens in your review as it is the ‘jewel in the crown’ (and should be at the price!) But it is a truly splendid lens. That and the 70-200 are my ‘serious kit’ and the 10-100 my ‘compact equivalent’ kit – with various other mixes like (all primes for museums etc). I would also comment on how I view my photos – and how others generally see them and this is on a ‘retina’ iPad. The combination just works beautifully in terms of camera acuity, size pixel density and so on. I have now just bought the latest mini (retina) which will now accompany me at all times (Like the V2 et al it is very light and compact) and allows me to download and review on a serious sized screen in the field. This is what Nikon 1 is all about so let’s shout about it. It is not there to compete with FX but to supplement it . . . just as you have highlighted in your review. KSPGM, I knew you would like this one :) Tom did a great job! Thank you Nasim, much appreciated ! I would love to have the 32mm Nikon 1 lens…from what I have read it is a fantastic lens…Nano coating too! Sine the D800 is my main camera and I have an 85 f/1.8G I just can’t justify getting the 32mm Nikon 1. But……..I just read on Nikon Rumors that Nikon has filed a patent for a 70-300 f/4-5/6 Nikon 1 zoom! You can bet that I’ll be adding that as soon as it is available. 189-810 efov with all of the fantastic focusing and frame rates of the V2….it will be a killer combination. Looks like Nikon may actually be getting serious about supporting nature and bird photographers with the Nikon 1. Thanks for the ‘heads up’ on the 70-300 Thomas! I’m with you, and will be adding it to my collection as soon as it appears. And, as you say, the best news is that Nikon are clearly going to continue support for the CX system. As I have been ‘ranting on’ for ages now (apologies to Nasim for my monotonous support for this system!) but, once you learn to accept and work around its disadvantages and capitalise on its advantages, this CX system is fantastic. Nikon need to get behind selling it for its strong points . . . which are not coloured bodies etc. ! They need to promote such aspects as ‘birding’ just as you have said. I am 5’6” tall, around 10.5 stone and over 60 years age . .. I just cannot carry around the FX gear any more even if it does promise better ‘quality’. But the ‘quality’ of my CX gear is that I take part of it everywhere . . . so I always have it with me and I always get the shot. It just seems to me that we, in the 21 st century, have become too hung up on technology and have forgotten the prime reason for our obsession with photography – taking pictures. Well CX returns that freedom to me . . and if the quality is a tad less . . . then so be it . . .there is no perfection in this game. You discussed DOF in your article. This is a strange conundrum. Our eyes do not have DOF ‘problems’ yet lenses, which do, have somehow become apparently more valuable optically. It seems, in a way, strange to develop a camera body which is striving for almost perfect realism in its achievement and then stick on a lens which blurs a good proportion of the image! We humans are strange creatures ! So I for one am not too bothered by the CX DOF ‘problem’ – just an observation! Thanks again for the article Thomas. We need more like it and I hope it will open up a niche on Nasim’s fantastic website for us CX fans. A lot of people have complained about the price of the Nikon 1 V2….but when Nikon starts adding lenses like the potential 70-300 it is a real game-changer for the system as it would make it a sudden you have a really competitively priced camera/body combination for wildlife and birding compared to anything else that is on the market…period. The other interesting patent that I forgot to mention is another adapter for F-mount lenses that has built-in VR! This would enable wildlife and bird photographers to use some of their older non-VR F-mount lenses with the Nikon 1 system. Nasim could use his older 300mm f/4 and on the Nikon 1 V2 it would give him an efov of 810 PLUS have VR on that lens. If this teleconverter comes to market it will make people even more interested in it. Yes, Thomas, that VR adaptor sounds fantastic! One of the reasons I sold my 85 mm f/1.8 was that when using it on the V2 I found it very difficult to ‘hand hold’ – even the Nikon 1, 32 mm f/1.2 can be a problem – but of course the f/1.2 goes a long way to solving this by upping shutter speed. But having a VR adaptor + the 32 mm lens would be exceptional! I have managed to capture shots of bees flying off a plant using the 32mm on a bright sunny day but it would be tricky on a dull day . . . however with the VR … phew we would really be ‘in buisness’! The 70-200 f/4 has prooved superb at capturing wildlife and bird shots and it seems to have a good balance on the v2 for hand holding …the VR is, of course, the best I have yet come accross – like a tank sight I imagine! 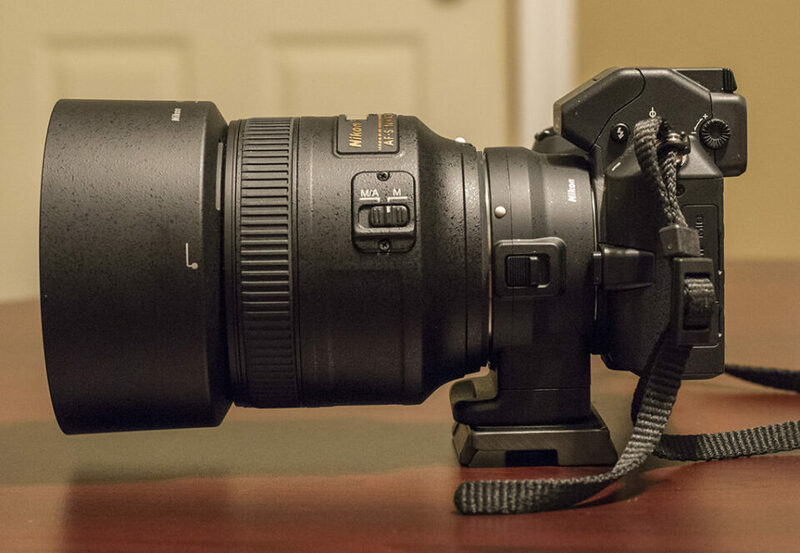 But the size is a drawback – so if this new 70-300 could replace it . . . we must dream on for now! Hi KSPGM….I think the VR adapter will work with F-Mount lenses only….and at this point only a patent has been filed…there is no firm date on this potential product. How do you find the 32mm f/1.2 for portrait work? One of the best reviews at this site. Thanks a lot Tom. I guess I’ll change my V1 when V2 is sold for a sane price. Hi Ertan, thanks very much! Appreciate your words of support. I bought my V2 when it ‘dipped down’ to about $685 with the 10-30 kit lens….worth every penny! The Nikon 1 V2 price discounts have started…..I’ve seen quite a few stores advertise them with a 10-30 kit lens for between $449 and $499….a good deal for this camera. Manu thanks for this great review! Two things I have found problematic are focusing in the dark and using slave flashes. It is not to easy to set up slave flashes, It is like in those old film days. Focusing in the dark is practically impossible compared to normal DSLR where your eyes take care of adapting to darkness. If You have any comments on those please let us hear. Auto focusing in low light is definitely not something that the Nikon 1 V2 does very well at all. I think it is one of those limitations that an owner can’t do very much about. I’m not sure if you have tried to focus your Nikon 1 lenses manually…..this may be the only other option. 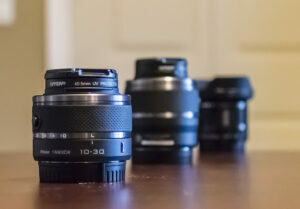 My review does provide some information on how to manually focus Nikon 1 lenses. I do not shoot with flashes at all so I can’t comment on that issue as I have no experience….sorry. 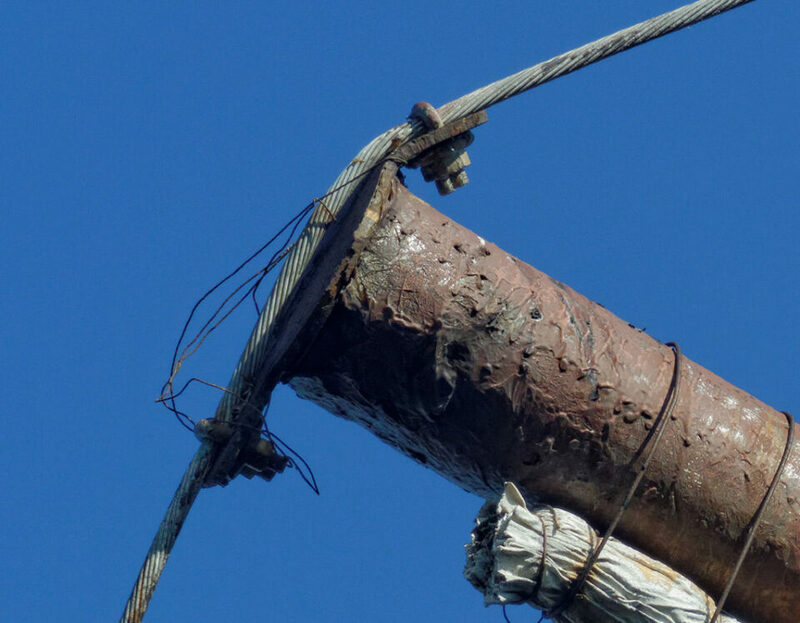 Perhaps someone else reading this thread can comment….. I am a complete novice when it comes to photography, so there are a lot of terms I dobt understand. Does any part of the website talk about basics of lenses. E.g. What is a wide angle lens, when should it be used, what is the consideration in choosing different focal lengths, what does the term efov mean (and I mean beyond equivalent field of view)…so downright basics is what I mean. also, could you review the Sony cameras – alpha 47 &57. I love everything about this website. Thank you for the effort that goes ibto the level of detail provided. Thanks very much for your comments. I am a guest poster on this site you would need to speak to Nasim to see if Photography Life would do a review on specific camera models. There is a section on this site under Photography Tips with quite a bit of information for ‘beginners’. Maybe I’m wrong, but I think there’s two pieces of incorrect or out-of-date information in this review. Nikon updated the FT-1 firmware in June of 2013 to accommodate AF-C (continuous) auto-focus when using Nikon AF-S lenses (as long as the focus square is kept on the target). Also, while “VR On” set on a Nikon VR lens runs constantly with VR on when the camera’s power is on, I don’t think it’s continuously auto-focusing (as was stated in the review) since the firmware update. Notwithstanding the aforementioned, the review is great and I picked up some great info on the V2. I too enjoy the D800E and V2 as an effective working combo. Love using my 300 f/2.8 VR-1 with the V2/FT-1. Hoping for a V3 someday. Hi James….thanks for the information on the firmware update….I will check this out further to see which version my V2 has on it currently. I’ll also check on FT-1 updates. If I am out-of-date that may be one reason why my 70-200 f/4 does auto focus constantly. Thanks for a very good review, that will help me in my quest to become a decent photographer and video shooter. I have the V1, which essentially is very similar to the V2, but lacks a built-in flash. I came from Pentax (which as yet haven’t produced a digital CX, or FX, camera), when this V1 ended up in my possession, and after a while I got the FT1 adapter, and a few basic Nikon F Mount lenses, which in turn led to a D3200 (which I didn’t really like), and a D600, which I love. My APS-C/DX cameras are by now sold, or retired, and I have cut down the number of lenses I have as well. For birds I prefer the 30-110, or the AF-S VR 70-300 on the V1, and on the D600 I use the new AF-S VR 80-400. The latter lens doesn’t agree too well with the V1 (focus very busy), but the 70-300 works perfectly! I tried out the new Nikkor 80-400 with my Nikon 1 V2 and the FT-1 adapter and it worked well. Focus was quite fast. I took a couple of shots indoors at my Nikon dealer and got good handheld shots at 1/80 at f/5.6 ISO1600, with the 80-400. I used to have a 70-300 VR but sold it as I found it was somewhat soft over 200mm….other than that I did quite enjoy that lens. I have seen some shots with the taken with the V2/70-300 vr combination and they do look quite good. At this point I’m hoping that Nikon comes out with an updated 300mm f/4 with VR. I’m also going to look at the new Tamron 150-600 VR…..and if Nikon brings out the rumored 100-300 Nikon 1 VR zoom…I will buy it in a heartbeat. Regarding manual focus in video, I have done focus pulls while shooting video on my V1. You go into the video in manual focus mode and while the dial is a control for shutter/aperture depending on your settings, if you click the select button, the dial then becomes the control for manual focus. I do not have access to a clip to share, but give it a shot on the V2. I can’t imagine they took it away. Thanks for the tip…I have not tried this with the V2 but I will see if I can make it work. This would be great if it did work on the V2. Have you been able to do rack focus as well? Thanks for the quick sample. I will see if my V2 has the same capability…if so I’ll try and do a short video on it and post it in this comments section. I likely won’t have time to get back to my studio and do this until later in December though. After reviewing my V2 manual and not finding any notation about focusing while filming video with Nikon 1 lenses…I checked with Nikon Tech Services. They have advised that the V2 does not allow manual focusing of Nikon 1 lenses while filming video…..so my comments about not being able to pull focus or do rack focusing is correct. I had a V1 and sold it because of pic review in the EVF. Has this changed in the V2? The pic review setting can be turned off with the V2. As you can imagine this really speeds up shooting when you don’t have to wait for the shot you just did to be displayed. I was interested in a discounted V2, but the current rumored V3 sounds very interesting. Wise decision re V3. Looks like Nikon is looking for ways to take cost out of the V models by using an existing body. That could make the V3 more affordable. Yup…Nikon had problems with those two models. 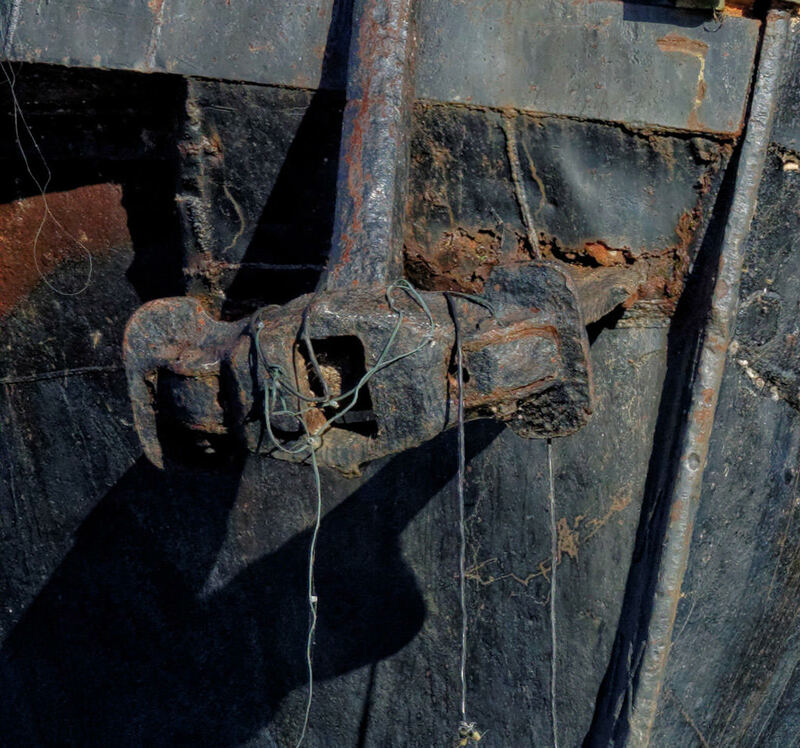 I had three copies of the D600….all of which had terrible issues with oil/dust on the sensor. While I loved the image quality from the D600 I couldn’t put up with the dozens and dozens of oil/dust spots that would appear within a hundred shutter actuations. The copies I had did not get any better with time either. I could have worked around it with still photography, but for video it was a deal breaker. I eventually moved up to the D800 and very glad I did. The video controls are so much easier to use and I’ve found the D800 is much less prone to moire in video than was the D600. The D800 is a more demanding camera to use than the D600 but I think that’s a good thing as it forces better technique. Based on what I’ve been reading, the D610 seems to be clear of the oil/dust issue. this is really a pefect review and i think a lot of guys who do birds or moon shots were waiting for this. I want to make an addition. The crop factor from Nikon 1 to Nikon FX is indeed 2,7. But we have also to keep in mind that the sensor resolution counts when I go for details. Comparing a Nikon 1 14 mp sensor to a Nikon FX 14 mp camera will really result in 2,7 more resolution when shooting with the same lens. But comparing a Nikon 1 14mp sensor to a fullformat 36 mp FX Sensor drops the differenz in resolution to 1,37 comparing on pixel level. So when I crop my FX pictures myself the real difference is not so impressive. The result of this may lead to a new comparison the D800 with 1,4 converter against the V2. Because the 1 to 1 pixel resolution should be equal. I agree that sensor resolution does make a difference. One of the reasons that I added the comparison of the hummingbird test photos, each taken with the Nikkor 70-200 f/4 and Nikkor TC-17E II teleconverter was to show that even with a very high resolution camera like the D800 the Nikon 1 V2 can still produce very competitive images under good lighting conditions. For folks on a budget and interested in getting increased efov, the Nikon 1 V2 is a very cost affordable solution. If you click on the hummingbird test images and view them at a larger size you’ll see that the Nikon 1 V2 does a surprisingly good job when using the same lens/teleconverter when compared with the D800. I have just stumbled on to your web site, its really good I’m still exploring it. Great review on the V2, I definitely will be buying one I feel it will a perfect camera for street photography. I’m only a guest poster on the Photography Life web site…I’m sure Nasim appreciates your positive comments. In terms of the Nikon 1 v2 remember that the CX sensor has a 2.7 crop factor so an FX 50mm f/1.4 will have an equivalent field-of-view of 127mm. 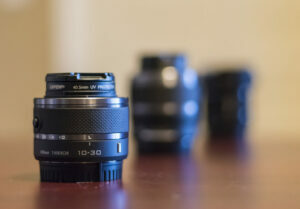 If you are looking for a 50mm for the Nikon 1 V2 I’d suggest buying the Nikon 1 18.5mm f/1.8 lens. It is a good lens and does a good job with the V2. The lens hood is sold separately for that particular lens. Keep in mind that the V2 is not sold as a body only….it is usually paired with the 10-30, 30-110 or 10-100 lens as kits. For street photography the 10-30 in a kit and adding the 6.7-13 would make a nice combination. If you can wait a little bit….a V3 is rumored to be launched in Jan/14…so the existing stock of V2 units may be discounted shortly. Unfortunately I do not have any direct experience with the S1 so I don’t know how well, or if, it will autofocus with the Tamron 70-300 VC with the FT-1 adapter. The S1 does not have a viewfinder so you’ll be trying to capture birds etc. by looking at the panel on the back of the camera and holding the lens a distance away from your face. You may find this very awkward to use. I would test this out before making a purchase. Not sure where you are located, but in Canada and the USA the V2 has gone on sale lately at under $500 with the 10-30 kit lens. This may be a much easier camera to use with your Tamron 70-300 since it has a viewfinder. Regardless of the model of Nikon 1 you may choose…test it out with the FT-1 adapter with your Tamron lens to make sure it works to your satisfaction before buying. Any reputable Nikon dealer should be prepared to let you do a test. Hopefully you’ll be able to find a V2 at a reasonable cost. I think if you do you’ll find it to be a much better camera than the S1…more external control dials which makes it closer to shooting with a DSLR….and 14.2 vs 10 mp sensor to name a couple of good improvements over the V1. It really depends on your needs and whether you want the ‘convenience’ of only one lens and give up a little in terms of image quality. I had the same deliberation when I was buying my V2 as well…and I chose the 10-30 plus the 30-110 since the sharpness of the 30-110 is better than the 10-100 (according to DxOMark) and I wanted the smaller size/weight of the pair of lenses rather than one, larger and heavier lens. Also, this pairing was a direct overlap with my existing FX zoom lenses which makes it easier for me to switch from my D800 to V2 when I have specific depth-of-field issues where the CX sensor is needed video shots. Keep in mind that I shoot a lot of client video with my V2 and I often mount it on a very small table top tripod and put it in very tight spaces…so lens size and weight was important to me…that may not be as important to you. I chose the pair over the single lens. I really can’t tell you which to buy since I don’t know your needs and what is important to you. Best thing would be to visit a Nikon dealer and shoot with all three and see what you like best. O yeahh, for portrait with V1/V2 should I buy the 85mm f/1.8, or it’s better the new nikon 1 32mm f/1.2 ? The V2 has more external controls than the V1 and it has 14.2 vs. 10 mp sensor so the cameras are quite a bit different. You’ll need to decide if the cheaper price is more important than the ease of use of the V2 over the V1. At the time when I bought my V2 I could have bought a V1 for about 1/2 the money….I chose the V2 because I specifically wanted the 14.2mp sensor and the additional external controls were extremely important to me….and worth the extra money. Those issues may not be important to you. As far as lenses go, I have not shot with the Nikon 1 32mm f/1.2 but I have read that it is an outstanding lens, with Nano coating etc. It is an expensive lens, costing about $900 in North America. I do own the 85mm f/1.8 FX lens and it is a very sharp, fast focusing lens that is ideal for portrait work on a full frame FX body. On the Nikon 1 V2 this lens would have an equivalent field of view of about 230 mm so that would put you a fair distance from your subject….so that combination would be pretty unusual to use for portrait work. The 35mm f/1.8 G DX lens is actually a pretty good performer and on a Nikon 1 it would have an equivalent field-of-view of about 95mm, or the 50mm f/1.8 G FX would give you an efov of 135mm….either one of these is likely to be easier to work with for portait work than the 85 f/1.8 G FX mounted on a Nikon 1. If your main focus is going to be portrait work then you really need to think about the style of images that you want to create. Often portraits require good image separation from the background and creamy smooth bokeh. A good used FX body with the 85mm f/1.8 G would likely do a better job for portraits than the Nikon 1 simply because of the depth-of-field characteristics of the FX vs CX sensors. My review addresses this issue early on. KSPGM posted a comment earlier about how the Nikon 1 32mm f/1.2 is the best lens in the system. Perhaps he can comment on this lens for portrait work with a Nikon 1. Most pros will tell you to invest in the best quality lenses you can afford since lenses typically outlast any body you use. A high quality lens mounted on a cheap camera body will usually produce much better images than a cheap, low quality lens on an expensive camera body. As far as Nikon warranty goes….I don’t know what it is like in your home country, but in North America a Nikon warranty is NOT transferable when a body or lens to sold to a second owner. If you buy used Nikon gear…you’re on your own. Not sure if this has helped you at all….or only muddied the water more. 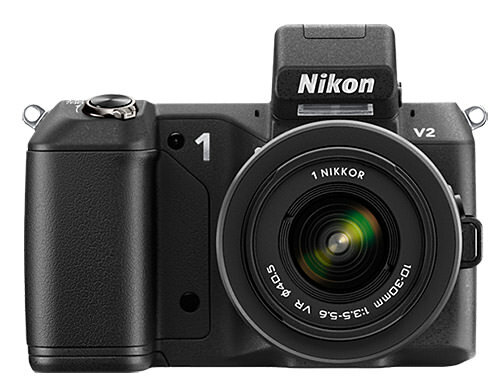 The V3 is rumored to be coming….nothing official from Nikon….so at this point only a rumor. And, even if it is launched, there is no guarantee the markets into which Nikon may release it. 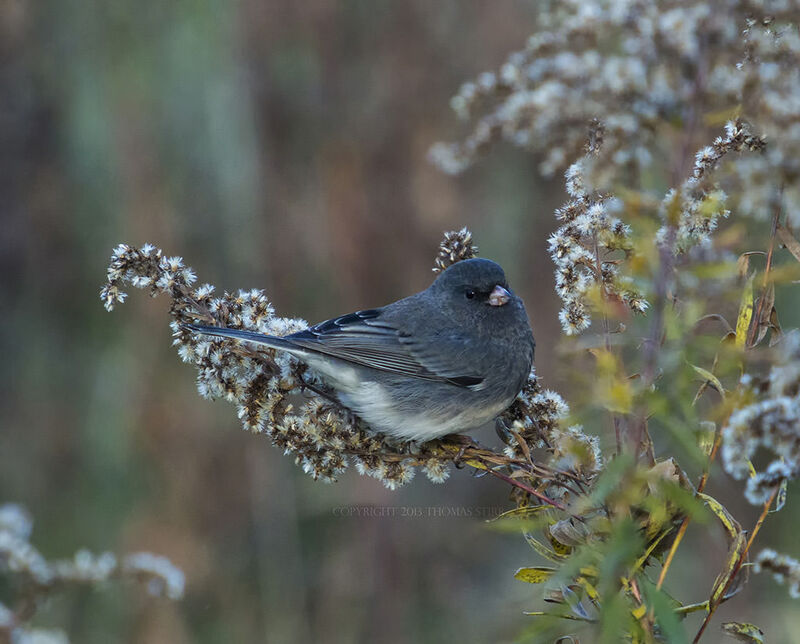 As far as using the 85mm f/1.8 FX lens on a Nikon 1 for birding….230mm efov may be a bit of a disappointment for you. Typically birding requires at least 300mm….as the saying goes you can never have too much reach for bird photography! The other issue is that this lens does not have VR so you will need to shoot at faster shutter speeds….or crank up your ISO…which takes away some flexibility and can have image quality suffer with higher ISO noise. 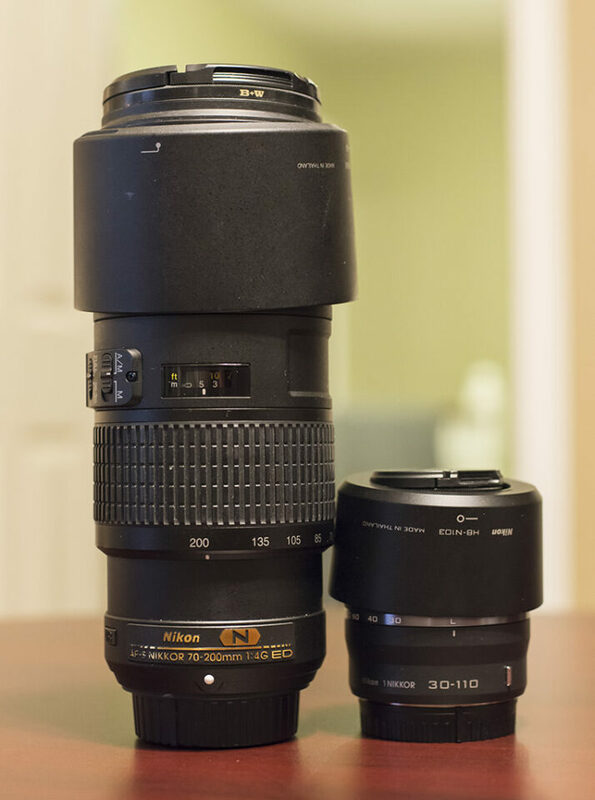 This may sound a bit strange….but another lens that you may want to consider is the Nikon 105mm f/2.8 micro VR. I have this lens and really like it a lot. On the V1 or V2 with the FT-1 adapter it would give you an efov of 284mm @ f/2.8. Focus is quite fast even in somewhat low light…and in good light it is very quick. I did a bit of a test today with regard to using it for portraits on my V2 (without a teleconverter) …..you’d likely be shooting from about 12-16 feet away for a typical single person head or head/shoulder shot. With the 85mm f/1.8 you’d be shooting from 10 – 12 feet away. Given the 2.7 crop factor, you’ll need good technique with either lens. The 105 micro with its VR will likely be more forgiving. I was able to get some good shots hand-held today at 1/30th with the 105 micro. Another benefit of the 105 micro is that you can use Nikkor teleconverters with it. If you used a TC-14 your efov would increase to 397mm @ f/4, or with the TC-17E II the efov would be 482mm @ f/5.6. This type of set-up would give you sufficient reach for birding with a V1 or V2. I did a test today and under good lighting conditions the TC-17E II will focus fast and accurately…..plus as I mentioned earlier the 105 micro has the added bonus of VR. In low light, in low contrast situations, or when used for macro work the 105 micro will sometimes hunt a lot when mounted on a Nikon 1 V2, so for macro I tend to manually focus it. This isn’t an issue since macro work is typically done with a tripod anyway. The image quality using the TC-17E II acceptable…I would imagine that with the TC-14E it would be quite a bit sharper than with the TC-17E II. As far as noise goes….you can’t escape it with the CX sensor. It is pretty well controlled up to ISO400…isn’t too bad at ISO800..and post processing will definitely need to be done at ISO1600 or ISO3200. It is not realistic to expect good low light performance from a small sensor….where it shines is giving you additional reach in good light conditions. I’ve made very good quality enlargements up to 12″x18″ with the V2. If you are planning to produce anything larger than that then the Nikon 1 system is not the right choice in any case….you should be looking at FX…or DX at a minimum. If I had to choose between the 105mm micro f/2.8 VR and the 85mm f/1.8 for use on a Nikon 1, I’d take the 105 f/2.8 VR since I could use teleconverters with it for extra reach, I’d have the added bonus of close focusing macro, and VR for more flexibility. In terms of size, weight and cost…the 105 micro is a bit larger, heavier and costs a bit more than the 85 f/1.8….but in my mind gives you a lot more flexibility when used on a V1 or V2. I’m very glad that I was able to assist you. Please remember that I am only a guest poster on this site…Nasim and the rest of the PhotographyLife team that own this site do a wonderful job with their ongoing reviews and instructional articles. Great review, white balance can be set manualy as on DSLRs, no? Yes, you can set white balance manually by taking a picture of a white or grey card that fills the frame. I found that the Tamron 70-300VR will not work with the V1 and FT-1 adapter. After the June 2013 firmware update, the camera does not recognize that there is a lens attached. It will recognize an older Tamron manual focus lens. That is very interesting to know…..I’m not sure if the same problem exists with the V2 or not, as I only have Nikkor lenses and I haven’t tried any other brands. I am considering the new Tamron 150-600 VR so this is a very important factor to consider. I have read that some of the latest Nikon camera updates make ‘third party’ batteries unusable in some of Nikon DSLR bodies. These software updates may be an attempt on Nikon’s part to discourage the use of third party lenses and accessories with Nikon product. I relied on some early (pre firmware update) comments re compatibility of the Tamron 70-300. It turns out after the firmware update other people had the same problem I did. You might want to check carefully re compatibility of any 3rd party lens. Tamron was unhelpful when I contacted them about the issue. If Nikon is deliberately trying to block or discourage the use of third party lenses with their software updates it is no wonder that Tamron would not be very helpful, and perhaps not even acknowledge the issue. I want to add a telephoto of some kind to my overall kit and I have been waiting on the 150-600 Tamron and the rumored 300mm f/4 Nikkor. I’d hate to spend $1,200 to $1,400 on the Tamron only to find out later on that after a software update it wouldn’t work on my D800 or V2. Thanks very much for the heads-up on this issue. Are you aware of people having trouble with lenses other than the Tamron 70-300? Perhaps this is something that Nasim could investigate further. I have not read about any other problems but I would not be surprised if there were issues with other lens. It will make me think hard about third party lens in the future—Nikon’s purpose I suppose. It is interesting that you have been able to get your Tamron 70-300VC to work with the FT-1.Mine will not. I have the 1.3 A&B firmware and 1.1 lens/FT-1 installed. I did not install with the lens attached. I just get the message that no lens is detected regardless of how the lens is switched, i.e. MF on and VC off. I wonder if anyone else has had success with the FT-1 and this lens? I like the lens and hate to have to sell it and get a nikon lens to be able to use the FT-1. There are posts on some other forum that indicate compatibility may depend on the date the Tamron lens was made. Some people have success and others don’t. My lens is A005/010838 and I bought it in December of 2010. People speculate it has to do with the particular “chip” in the lens. If this is the case, apparently I am out of luck. You apparently were lucky getting a lens that is compatible. So I will be selling mine and probably getting the Nikon 70-300VR. Hi Nasim and thanks for taking the time to write a great review. I already own the N1 V1 and can buy a V2 here in Canada for $500. I particularly like to use my N1 with the FT1 for birding and have a simple question, Is it worth the upgrade to the V2 or should I wait and see for the V3 which is rumoured for any time soon . . . ??? Thanks very much for your comments on my review. If you follow Nikon Rumors you’ll see that they are predicting a new Nikon 1 V3 likely in February. Since that is just a few weeks away it may make sense to wait and see if the new camera is actually launched and what kind of additional features it has over the V2. There is also a rumored upgrade to the FT-1 software to “match the capabilities of the V3” according to Nikon Rumors. Perhaps this means being able to shoot more than single frames….perhaps more focus points….or at least being able to move the single focus point around….at this point no one really knows. There is even a bit of talk about a V3 having 4K video. Based on the overheating problem that the V2 has right now with 1080 video that doesn’t make much sense to me. The V2 at $500 is a great deal…and is tempting. I was considering buying a second one for my business…but decided to wait to see what the rumored V3 may have to offer. One of the things to watch if the V3 is introduced is the sensor used in it….i.e. see if Nikon upgrades the CX sensor in the V3 to the 20 MP one used in the Sony DSC-RX10. If that happens then I would strongly recommend waiting for the V3 as the 20mp CX sensor offers much better colour depth and dynamic range than the 16mp CX sensor in the V2. For example….the colour depth could go from 20.2 to 22.9 and the dynamic range could go from 10.8 to 12.6. This would make a significant difference in landscape photography and other than still being limited in low light (i.e. clean to ISO 400 only)….the performance of the V3 could potentially rival some of the current cropped sensor Canon cameras! That would be truly amazing for such a small, compact body. Thanks Tom – It is refreshing indeed to have someone actually answer a question!! I think you make a lot of sense when you say wait and see what the V3 brings to the table. If you look at my response to Etran on December 20…. (#19) I reported the sale prices on V2’s in Canada earlier. Also gave some links to Nycho in an earlier post. Interesting to see that the deals are still in place…thanks for the update. Nice review! Very comprehensive. I was pointed to this from a Nikon 1 enthusiasts facebook group I run. If you feel so inclined pop along and say hi in the facebook group. Thanks very much for your kind words….much appreciated. I think Nikon has caught on to the advantages of an FX/CX combination and they have tried to position the V3 in that slot. I REALLY like a lot of the additional video capability with the V3…but I must admit that I am quite disappointed with the lack of improvement in terms of dynamic range, colour depth and low light capability with the V3 over the V2. If I used my V series for stills only there would be no real purpose in buying a V3. Moving to micro SD and yet another battery are a couple of negatives with the V3 as well. I have been on a bit of a roller coaster ride in terms of the V3…..I was initially very excited when the rumors of the camera being launched first appeared….then when I saw the video specs my enthusiasm went up even more….only to be dampened by the micro SD and battery issue….along with a rather steep price. Then the DxOMark scores came out and all the air went out of my balloon! Since then I have been looking at the V3 from a far less emotional and more pragmatic viewpoint… and also the perspective of adding more production value for my video clients. This is causing me to warm up to the V3 again…..not sure that I will actually pull the trigger on one….but I’m considering it seriously again. The increased video capabilities in such a small package are very appealing, as is the deeper depth-of-field of the CX sensor….and while many folks scratch their heads over the 10-30 PD zoom….I see lots of potential for that lens from a video standpoint, especially when coupled with the touch screen focusing capability of the V3. Ditto how I feel about the V3… some great features… some not so great. I’ve invested in glass instead..! I don’t have the 32mm f/1.8 but I have read that it is an outstanding lens. I can’t wait to find out Thomas!! SO excited. I think I made the right decision to go with that instead of the V3. Also I will add that DxoMark isn’t the whole story though. The specs may not have changed between the V1 and V3 really in terms of ultimate scientific readings, but I find I enjoy my little V1’s files (despite the trashing it got due to dxomark scores) even when I do push the ISO to 3200… they just have a nice look to them, film like, the grain is not displeasing remembering how my D200 was at ISO 3200 I’d prefer to use the V1…! You are right though I expected a bit more improvement in the V3 because of all the derision these cameras get – but then they did stick yet more pixels on the sensor so had to improve the light sensitivity/low noise to even get it back to where it was before I’d say, due to lower light gathering area for each pixel. Good point about the increase in pixels with the V series cameras. The V3 does have almost 85% more pixels on the sensor than the V1, so it was quite a feat getting any improvement with DxOMark sensor scores….although your V1 is still the best of the three models in terms of dynamic range and colour depth. A lot of younger folks without film experience would not appreciate that aspect of the V series files….in terms of having that ‘film grain look’. More pixels can help when dealing with low light. For example, the D800 is rated for 2853 ISO on DxOMark. When I’m doing a video project where I’m going to incorporate some still images I regularly shoot the D800 handheld at ISO5000 and ISO6400 in low light situations without any hesitation, and I often use jpegs straight out of the camera with no correction at all on them…in video assemblies they look sharp as a tack and noise free. That’s one of the reasons why pairing up a D800 with a V2 is such a killer combination for video. If you had to make a choice today, would you buy the V2 or V3? At Adorama the V2 with 10-30 and 30-110 lens sells for $1,030, add a FT-1 at $237 for a total of $1,267. A V3, with 10-30 PD lens, FT-1, Viewfinder and Grip sells for $1,194. Add the 30-110 lens at $247 for a total of $1,441, or a difference of only $174. 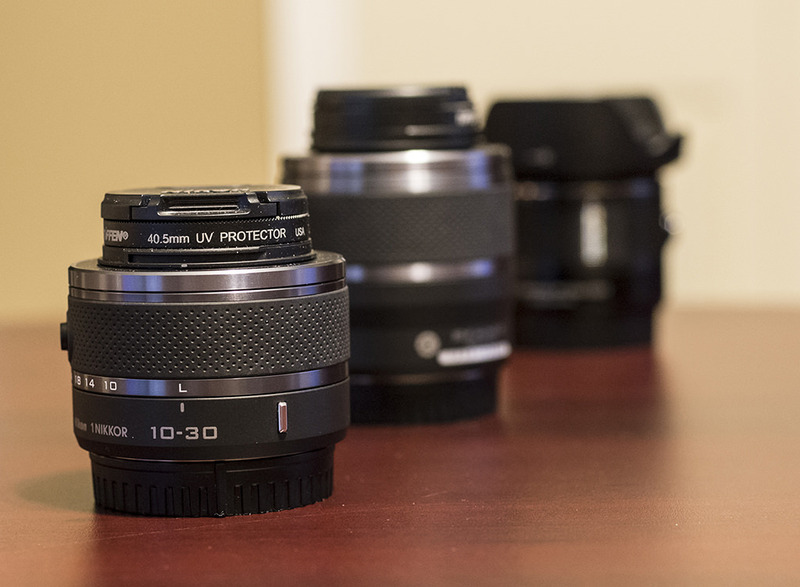 Main Differences (V2 listed first): 10-30 lens to 10-30 PD lens. Viewfinder is detachable on V3. Grip can be used or left off of V3. SD to Micro SD card. 14 MP to 18 MP. Supposedly one more ISO stop on V3. Video differences not mentioned (I don’t shoot video). On the 10-30 PD lens it does not appear that a filter can be used, but supposedly is a better type of lens for video (as I shoot stills only, makes no difference to me, except for the potential non-filter issue). I have heard of issues for Micro SD cards, but very few issues with good quality SD cards. Have heard that V2 is being (or is) discontinued. Also, V2 is proven (I really like your bird shots by the way), while V3 has yet to be in the field enough to have shown its stuff. So, considering minor difference in cost, IF you could buy today, which way would you go or suggest? You pose an interesting question….and it really depends on your imaging needs and how much the increase in sensor MPs and the improved EVF with the V3 are worth to you. The Nikon 1 V2 is being discontinued by Nikon so they are in fairly short supply. I have heard from my Nikon dealer that Nikon Canada is out of stock of the V2 and will not be getting any more of them. What have I done with my business in terms of the V2? I recently sold mine so I could upgrade to the V3….I should be getting my V3 in mid-May and I’ll be doing a review on it here at Photography Life. My main reasons for upgrading to the V3 were mainly the enhanced video features (i.e. 1080 HD @ 60fps, 720 HD @ 120 fps) and the tilt, touch screen on the V3. From a business perspective it was a bit of a no-brainer for me. From your posting these video enhancements would not be of much, if any, interest to you, so you’d need to look at it from a still photography standpoint only. The shift from the 14.2 MP sensor in the V2 to the 18.4 MP sensor in the V3 (with no low pass filter), should produce a bit sharper images, that are about 30% larger. That will also give you some added latitude for cropping. Assuming that the new sensor performs well….and DxOMark scores tend to indicate that it should since it is about the same on low light and dynamic range as the V2, and has a bit better colour depth than the V2…so overall the V3 should be a bit better for still images than the V2. The EVF on the V2 is 1440K dots compared to 2359K dots with the V3, so the V3 should give you a better viewing experience. There is a slight increase in AF-C with the V3 over the V2…from 15fps to 20 fps….if you shoot birds in flight that may be another consideration for you. The images include some progressive ISO samples. As a current V2 owner I upgraded primarily because of the enhanced video capabilities of the V3. If I didn’t have a Nikon 1 would I have chosen the V3 over the V2 based on still image considerations only? That would have been a close call…..likely 60/40 in favour of the V3….assuming I had the extra money of course. I would have been willing to put up with the micro SD card issue, and non-filter using 10-30 PD in order to get a 30% increase in MPs, no low pass filter, and the improved EVF. What is your current thinking about your V2/V3 choice? Thank you sir, for your prompt reply. I am split about 50/50. I tried a Micro SD card recently on a MP3 player, and promptly lost the card for several days when I popped it out of the player (I heard it hit something, and finally found the card three days later). So that concerns me (maybe work inside of a large plastic bag when removing the card, so it doesn’t get lost again?). Use large card (64 GB) so don’t have to change in field. If I don’t like the non-filter issue on the PD lens, I could sell it and then buy the regular 10-30 lens (however I expect most of the time I will be using the 30-110 lens, so could be a non-issue). Also a non-issue with the FT-1 and regular lenses. The additional crop is also a form of additional zoom, which makes me lean towards the V3. I worry about the touch screen (when I have my face to the viewfinder, will I be “pushing buttons” without meaning to?). Even with my D800E, D3S and D600, I sometimes do this on the regular buttons. I have never used a touch screen camera, so I don’t know if this is an issue. Basically I am suffering from “analysis paralysis”. V3 +10-30 PD Lens + Grip + FT-1 + Viewfinder = $1,194 at Adorama. Therefore price paid for V3 camera = $171 (that is damn cheap!, pardon the non-French). I will probably go with the V3, and then just do some work-arounds with the Micro SD and PD lens issues. I am currently looking to add some additional types of shoots (including more wildlife and BIF). In terms of the 10-30 lens issue….there is something you can do. B&H has a J1 kit with the 10-30 and 30-110 bundled into it for $299. 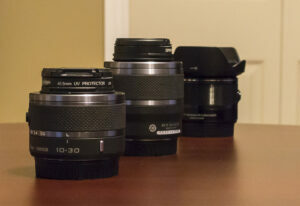 You can buy that kit, see which 10-30 lens you like best, then sell the J1 with the unwanted 10-30. As long as you can sell it for at least $52 plus the tax on $52, you’re ahead of the game. I did something similar today and picked up a J1 with a 2-lens kit so I could get the 10mm f/2.8 that I’ve been planning on adding for a while. The J1 kit price wasn’t that much more than just buying the 10mm by itself. So, I’m optimistic that I can sell the J1 with the 10-30 lens and come out ahead. And, even if I can’t sell the J1….the battery may be useable in my V3 anyway. With all of the sports you shoot you’ll really enjoy the V2 or V3….they’re great cameras with AF-C of 15 fps or 20 fps. I think the touch screen feature can be turned off with the V3. This is my favourite compact MILC, as yet, that is. I’ve taken at least 10,000 shots with mine, most likely more. It is fairly well organised, has the usual PASM wheel, and useful (if you take care) up to ISO 3200. Recently I had bad fall, and it ended with me slamming my V2, with the 70-300CX, into the wet slippery, leaf-covered, slope I was descending, so it looked terrible, and I imagined both were goners. My clothes looked a mess and my leather jacket had a nasty hole in it, where something sharp had punctured it. Would the camera be OK? I thought it was definitely ready for the scrap heap. But not so, just some dry brushing with an old wooly sock, and wet cleaning with some tissue paper fixed, and everything works as normal! Had it been my D600, and the 80-400 VR II (I used to own) I am sure the outcome had been much worse! So the V2 is surprisingly rugged, as well! Thomas has covered all the other bases! Thanks for sharing your experience with the Nikon 1 V2! I haven’t had a bad fall like you experienced but I have dropped a couple of my V2’s. One drop ended up with the battery door breaking as it slipped out of my hands and fell about a meter or so. I had the camera checked out and all that was needed was to have the door assembly replaced. Between the third V2’s that I own I’ve taken over 80,000 images with them and they’re still going strong. Since using the PRIME noise reduction in OpticsPro 10 I shoot my V2’s up to ISO-3200 without any second thought at all, and I occasionally push them higher than that. I have the Nikon1 V2 which came with the Nikkor 10-100 1:4-5.6 lens. I’m quite the beginner and learning about the camera, so I really appreciate your review here and the content of this site because it’s thorough and detailed, but not entirely confusing for the beginner. I have two questions for you. First, is there any way that you know of to turn off the face sensor on the viewfinder if you don’t want it on? Sometimes while I’m shooting with the screen, I hold the camera too close to my body, which turns the screen off in favor of the viewfinder, which I don’t like. Second, I have two small kids and live in rainy Oregon, so there’s a lot of play time in the house. What lens (with/without adapter, with/without flash) would you recommend to chapter the best indoor light shots with moving little targets? I know the indoor stuff isn’t your specialty, but it seems that you know this camera well and what works best with it. I know that the rear screen can be turned off by use of the display button on the back of the camera but I am not aware of a method to turn off the EVF sensor. As far as indoors, there are two affordable primes from which you could choose, the 10mm f/2.8 and the 18.5mm f/1.8. A lot of Nikon 1 users really like the 18.5mm as it gives the same field of view as a 50mm lens on a full frame camera as is a fairly fast lens so it is pretty good indoors. You can shoot this lens pretty much wide open and get decent results with it. This strikes me as the best and most affordable option for you. Setting the camera on Auto and releasing the pop up flash will allow the flash to assist with any lens on the camera, although if the lens is too long you may get some shadows. Nikon does make a Nikon 1 dedicated flash. I’ve never used one but that is another option. Thanks for sharing your Nikon 1 experiences! Like you, I own multiple Nikon 1 cameras. In my case three V2s, two J5s and a J4 that I use with a WP-N3 waterproof housing…which I also bought on sale at B&H. Another excellent review – thank you! I had a question on the shutter speeds listed on some pictures (particularly the birds-in-flight) early on in the review. You list the shutter speeds as 10/32000, 10/25000 etc. I don’t follow this format; is 10/32000 equivalent to 1/3200, and is 10/25000 equivalent to 1/2500 and so on? Your review is amazing and as a beginner, over my head I’m afraid. I have an opportunity to purchase a used Nikon 1 V2 for about $700 (very good condition) and am wondering if this is too much camera for a beginner? Thanks for your exhaustive patience answering all these questions. Thanks for the positive comment regarding my Nikon 1 V2 review – if my memory serves this was the very first article that I wrote for Photography Life! Spending $700 is not an unrealistic sum of money for someone starting out to spend on some new or used camera gear. Before investing in Nikon 1 gear you should consider that the system has been discontinued by Nikon (July 2018) so no new cameras or lenses with be coming out. So, if you think you will need more than the 2 lenses advertised you should check out how hard it may be to find additional lenses. In the future it also could be difficult to get repairs done should they be required. If that fact doesn’t bother you, and you like the Nikon 1 system then it would be important to assess your photography needs to determine if the Nikon 1 system will best meet your needs. 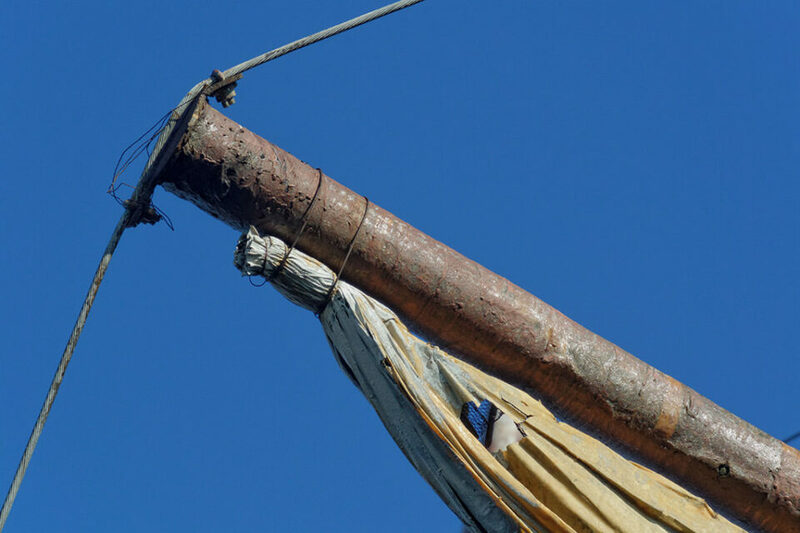 If is always difficult to assess whether an asking price is ‘good’ or not, as that depends on local market conditions and the condition of the gear. Before buying the V2 in question you should find out the shutter count of the camera. Obviously a camera with a low shutter count would be preferred. It would also be prudent to find out if the 10-30 mm non-PD zoom lens was repaired under a service recall that was issued on that particular lens a number of years ago. In Canada a good used V2 with a low shutter count, with a 10-30 mm non-PD zoom, would sell in the $350-500 range. The 30-110 mm lens is quite good and is a great compliment to the 10-30 mm. It also works very well with extension tubes for close up photography. In Canada a good, used 30-100 mm would sell in the $150-185 range. I would have no idea what used Nikon 1 gear would be worth in your area. Nikon 1 gear is pretty hard to find in Canada as owners seem to be hanging on to their equipment. Many Nikon 1 owners have been trying to ‘future proof’ their systems by purchasing additional bodies and lenses. This is something that I started doing over 2 years ago.